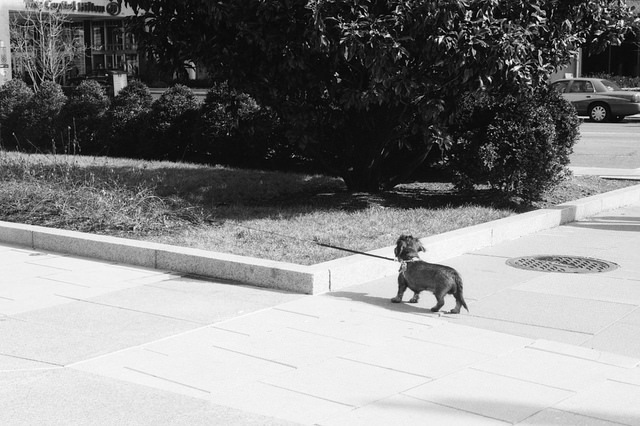 I am contacting you to express longstanding frustration and advocate the need to legally address – and hold accountable – the utter lack of adherence regarding DC leash laws, with my dog and I being unfairly impacted as a result. This summer, my 9-year-old leashed dog and I were attacked by two un-altered, un-fenced, un-collared, un-leashed dogs. I underwent medical attention for multiple dog bites requiring weeks of follow-up — and my dog underwent extensive veterinary treatment. Thousands of dollars in combined medical and veterinary bills were amassed and for nearly a week we weren’t sure our dog would survive. This dog attack was 100% preventable, 100% based on negligence and – with previous calls from neighbors to animal control about the same two dogs made, with no actions taken – a 100% total disregard for the law. Therefore we are holding the homeowner, property manager and tenant/dog owner 100% liable and 100% accountable for the damages created as a result. However, our multiple requests for assistance and adjudication have been declined by multiple entities including legal aid DC, DC victim services and additional personal injury attorneys who either saw no money in the case or requested exorbitant up-front fees that we could not afford. I believe this stems from the tenants living in the property under a housing voucher, making DCHA the de facto property manager and no one wanting to give the appearance of targeting low-income housing — along with the abundance of legal assistance available on tenant’s behalf. To be sure, this case has nothing to do with one’s subsidized status and instead speaks to the larger narrative of how, despite following every regulation and taking every precaution, law-abiding dog owners are victimized and financially burdened by the actions of other dogs and namely, the NEGLIGENCE of other dog owners. I will spare you from seeing the gruesome images of my dog in peril, but rest assured I expect our laws to be enforced, charges AND fines to be issued, violations reported to respective housing authorities, costs reimbursed, claims filed against both the rental insurance policy and homeowner insurance policy, and damages awarded To that regard, I have already attained the full MPD report and DC Humane Alliance/Animal Control reports (via FOIA) and have a drafted, detailed legal demand letter addressing the homeowner and tenant. I have also filed a complaint to DCHA. It is my hope that a legal representative can assist us in identifying what steps to take in order to reach the desired outcomes listed above. Love Live DC: Buying and Selling — Which One First?